Children’s toys that are sold in the country contain high level of toxic heavy metals and other harmful chemicals, a recent study has revealed. The study by the Centre for Public Health and Environment Development (CEPHED), whose results were released on Monday, found dangerous level of heavy metals and other chemicals in 62 percent of the toy samples collected from different parts of the country. The content of heavy metals, such as lead, cadmium, chromium, barium, zinc and bromine, and several phthalates were high in toys that are sold in the country, said CEPHED Executive Director Ram Charitra Sah. Nearly 71 per cent of the samples contained at least one toxic metal while 62 percent had toxic chemicals level above the Nepal’s toy safety standards, he added. According to the study’s finding, lead was found in 19 percent of the toy samples that were also contaminated with at least one toxic metal. Some other toys had presence of up to three toxic metals, above the national standards. Of the 71 percent samples with at least one toxic metal, cadmium was detected in 8 percent of the toys, chromium in 11 percent, zinc in 68 percent, barium in 14 percent and bromine in 16 percent. Sah warned these toxic metals and chemical contaminants could severely damage the nervous system and reproductive system, affect the immune system, reduce intellectual capacity and cause permanent brain damage, cancer, lung and kidney diseases. “This is an alarming situation for our children’s health and environment. What is even more worrisome is that their concentration was exceeding by several folds than our standard. For example, zinc and lead levels in two toys were 21,000 and 52 folds higher than the national standard,” said Sah. The government had enforced the Mandatory Toys Standard (MTS) law in July 2017, which was seen as a strong document for restricting children’s exposure to harmful chemicals and heavy metals prevalent in toys. 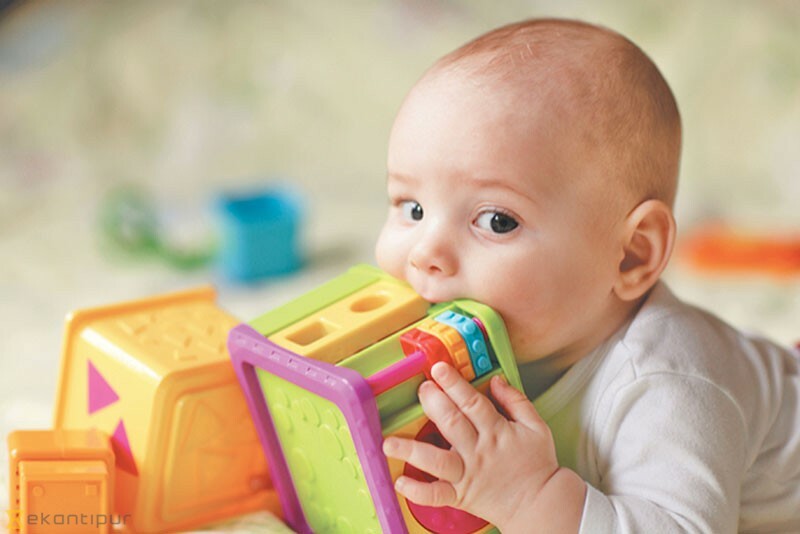 The previous standards had set legal limits for 12 toxic substances in children’s toys, including heavy metals, bisphenol A (BPA) and phthalates. However, the government had to roll back the standards for revision because it had said the document had clashed against the provisions mentioned in the Agreement on Technical Barriers to Trade (TBT). The new proposed standards not only restricted maximum concentration of only eight elements, but also excluded four chemicals – Bromine (Br), Bis Phenol A (BPA), Phthalates and Zinc (Zn) – which were enlisted on the erstwhile standard. The study had also tested five toy samples for phthalates and found that all of them contained several phthalates banned in many countries. Stakeholders have blamed the government of revising the draft and excluding other chemicals under the influence of private sectors and business lobbyists. “Our government should not put industry interests over the interests of children and public health. Backtracking on the law to allow dangerous chemicals in toys would be a violation of fundamental right of children to health that is ensured by our constitution and the Convention on the Rights of the Child (CRC), to which Nepal has been a Party for over 25 years,” said Sah. since the toy standard was enforced last July, according to Manoj Nidhi Wagle, director with the Department of Customs. “We have been regularly conducting random tests of these toy consignments. When the standard was in force, we would send the contaminated toys back or ask them to destroy them,” said Wagle. But of late, the toy standards are not being enforced as was intended when it was introduced. This has increased the chance of children getting exposed to harmful chemicals.